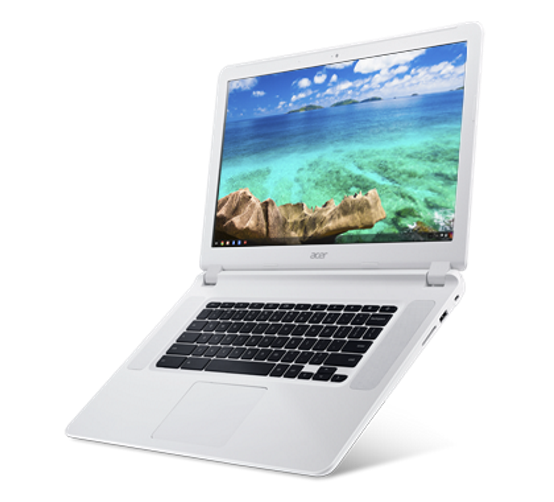 Taiwanese computer company Acer Inc., is hoping that many Chromebook users will favour a large-screen machine rather than a small and sleek version of the Chrome operating system powered laptop. 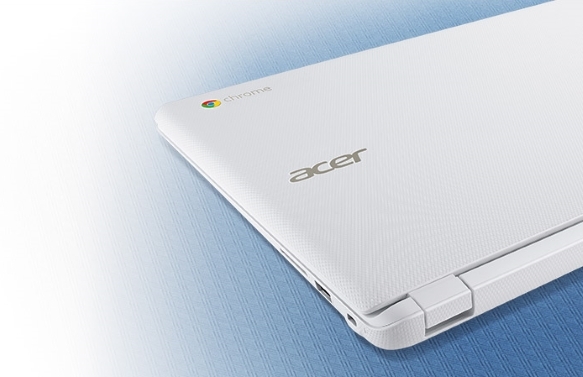 Slated for release in early April, the company’s Chromebook 15 sports a 15.6” display. Prices start at US$250 but there is a model that costs around $350 (model CB5-571-C09S0) which comes with a 1080p IPS display and an Intel Celeron processor. He said the machine was “nowhere near” the $999 Chromebook Pixel. The plastic construction gave the laptop a flimsy feel. Most users will likely appreciate the larger screen which easily dwarfs even the 13-in display found in some current Chromebooks. The 15.6” provides ample room for viewing multiple windows. However, unlike most Chromebooks, the Chromebook 15 provided better screen resolution and a higher quality IPS panel. One drawback is that the 15.1”x9.7”x0.95” Chromebook 15 weighs 4.9lbs. The laptop comes with a dual-core Intel Celeron 3205U processor and 4GB of RAM. The Core i5 or Core i7 on Chromebooks like the Pixel (which comes with 8GB to 16GB or RAM) may be faster, but the 3205U is responsive enough for most uses. 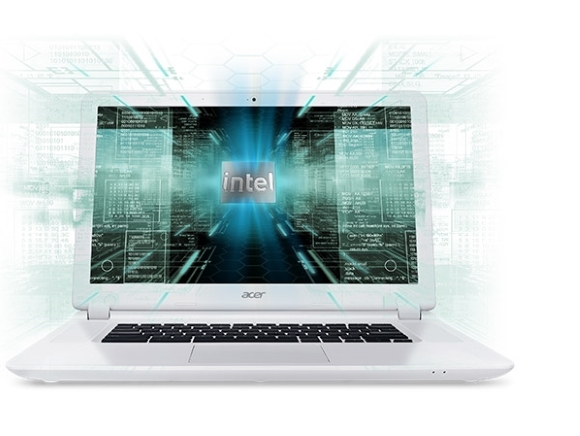 For power users, Acer plans to offer a version with the 5th Gen Broadwell Intel Core i3 chip. The Chromebook 15 comes with a 32GB solid-state drive as well as 100GB of free cloud storage from Google Drive for two years. Google Drive storage normally costs around $1.99/month. JR, says the Chromebook 15 is a viable mid-range option he would not hesitate to recommend to users looking for a larger Chromebook.